Three TPS students had their work on display at the University of Wisconsin-Parkside’s “Art Party” during the month of November. 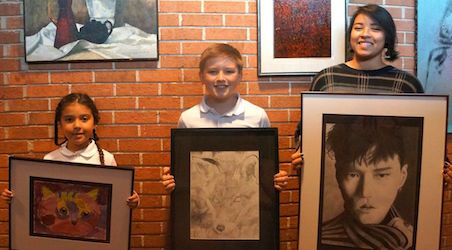 Pieces by second grader Elise Hoger, sixth grader Michael Batten, and senior Julia Reynoso were on display at the Mathis Gallery on UW-Parkside’s campus beginning November 1st. The exhibit featured outstanding work by area teachers and students.